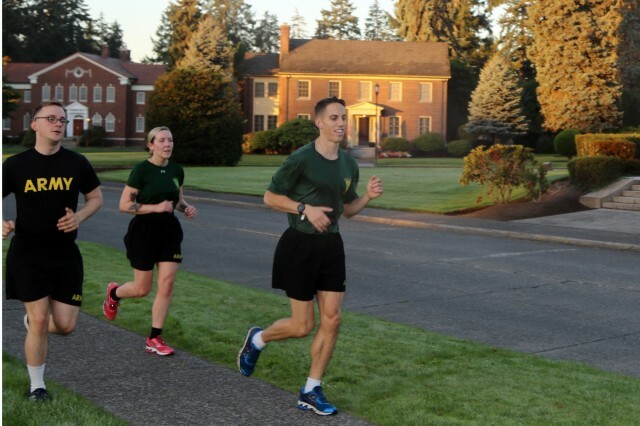 JOINT BASE LEWIS-MCCHORD -- The qualifying race for Joint Base Lewis-McChord's Army Ten Miler team was fast and competitive. 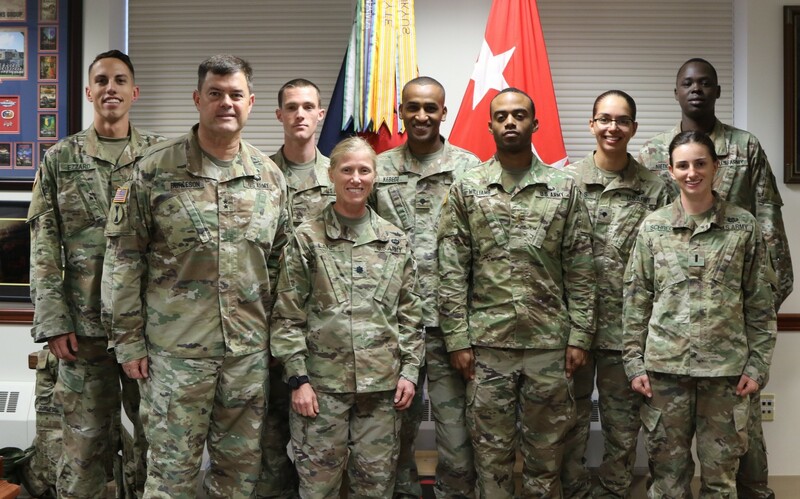 At stake were 10 slots -- five male, five female -- to represent JBLM at the annual race in Washington, D.C. And when the dust settled, three of the five male slots were claimed by Soldiers from 42nd Military Police Brigade. Wearing the same patch isn't the only thing these three Soldiers have in common. They each share a history of competitive running, a dedication to physical fitness, and a goal to finish the 10-mile race in under an hour. On Sunday, Oct. 7, Staff Sgt. Shawn Jenkins, Sgt. Will Ezzard, and Spc. Nicodemus Ngetich will wear a JBLM running shirt during the 2018 Army Ten Miler, but they also know they're representing the 42nd MP Brigade. One Soldier in particular was excited to have other members of the team come from his unit. "It means a lot to me, it means we're doing something right," said Ngetich, a financial management technician with 508th Military Police Battalion (Detention). 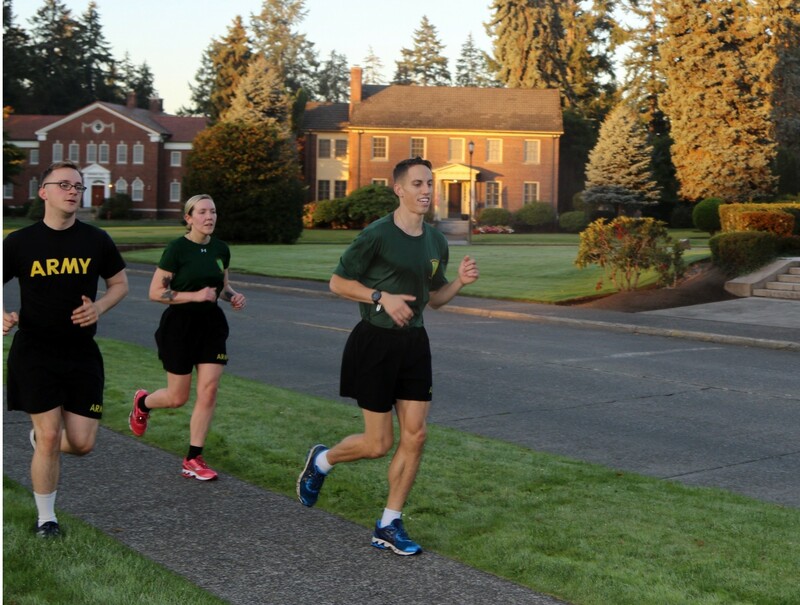 In April when JBLM held its qualifying run, Ezzard nearly missed being at the starting line. "I got a call from my NCO saying 'where are you?'" said Ezzard, a paralegal NCO in the 42nd MP Brigade's legal shop. The stressed start didn't affect Ezzard's performance, as he kept pace with other top runners like Ngeitch and Jenkins. At the turnaround point, Ezzard realized he was running a faster pace than he planned. Despite suffering from leg cramps, he refused to slow down until he crossed the finish line. Ezzard's competitive background is always on display during physical training sessions with his unit. He uses his running expertise to help the Soldiers within the brigade's legal section improve their running ability. "I can't be the fastest on the installation and have one of my Soldiers fail a physical fitness test," said Ezzard. "At the end of the day, I'm an NCO before I'm on the Ten Miler team." For Ngetich, the competition of the Army Ten Miler will bring back memories of his college running career at University of Texas-El Paso (UTEP). As a scholarship track and field athlete, Ngetich put up eye-popping results: finishing a one-mile race in only four minutes, nine seconds in 2009 and a 5,000 meter race in a blazing 14 minutes, eight seconds. Ngetich's time at UTEP also brought him a degree in finance, which he hopes to use to commission as an officer through Officer Candidate School (OCS). "My goal is OCS, but if it doesn't work out I also want to re-enlist," said Ngetich, a native of Birmingham, Alabama. For Jenkins, this is the third time he has qualified for an installation-level Army Ten Miler team. Last year he ran for the JBLM team, and in 2015 he was on the Fort Leavenworth men's team. Though he is striving for a personal best in the race, Jenkins enjoys the camaraderie of representing his installation and brigade. "A lot of times, running in general is kind of a singular effort," said Jenkins, a native of Warren, Pennsylvania. "It's cool that we can come from different units, different MOS's, united in one common goal: to do the best we possibly can." Jenkins, a platoon sergeant with 67th Military Police Company, 508th Military Police Battalion (Detention), ran competitively through high school, and has kept it up throughout his 10-year Army career. Sunday will be the second time in the last two months Jenkins will compete on a big stage. In August he represented I Corps at the 2018 FORSCOM Best Soldier Competition at Fort Bragg, N.C. In his current position, Jenkins also serves as his company's Master Fitness Trainer., Similar to Ezzard, Jenkins uses his experience as a competitive runner to help other Soldiers improve. "I teach Soldiers to maximize each step," said Jenkins. "(Running) is not just being well conditioned, it's a skill you need to know how to do." Running with Ezzard, Jenkins and Ngetich on the JBLM men's team will be 2nd Lt. Richard Williams and Spc. Robel Kebede, who are both assigned to Madigan Army Medical Center. 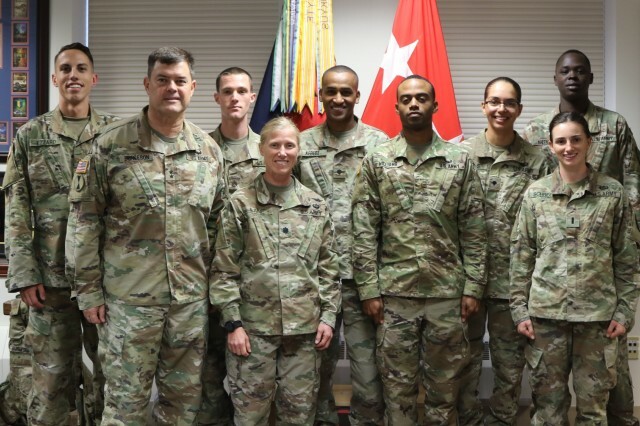 The JBLM women's team is comprised of 1st Lt. Dana Larsen, Madigan Army Medical Center; 1st Lt. Nicole Solana, 160th Special Operations Aviation Regiment; 1st Lt. Sarah Schreck, 555th Engineer Brigade; Lt. Col. Shoshannah Lane, 16th Combat Aviation Brigade and Spc. Keysh Mejia, 2nd Stryker Brigade Combat Team. The Army Ten Miler attracts more than 30,000 runners annually, who race from the Pentagon through the historic sights of Washington, D.C. Last year, the first place male finisher was Spc. Haron Lagat with a time of 49 minutes, 23 seconds. Specialist Susan Tanui was the first place female finisher with a time of 56 minutes, 50 seconds.